Its11:30am and I’m on a train half way between Halle and Leipzig. I arrived in the Netherlands last Monday and spent a couple days hanging in the hague. When we arrived the weather was absolutely perfect and had been for at least a week before (as every one keeps reminding me), however it quickly turned European grey and has pretty much stayed the same. I caught up with my cousin and some old Dutch friends at the grotemart, had pita giros at an old haunt and finally ended up in a pool hall. The next morning I was on a 6:30am train to Bernburg with a hangover, and yes I did go through Hanover, which was kinda amusing but at the same time was not at all. About 7.5 hours later I arrived at my destination, the gorgeous little German town Bernburg, which also greeted me with blue skies. The next day turned grey and the weather was almost identical to the winter I left back in NZ. So I had arrived in Bernburg. At 9am (31st May) I turned up at the Kurhaus for the conference I’d come all this way for; Digital Landscape Architecture (a.k.a DLA 2012). It was full of talks and workshops that where all related to my work at Unitec. I was due to present on the Friday and so I spent two day quite nervous. The last thing I wanted was to get ripped apart by a couple of Harvard professors. I actually made the mistake of writing out a lot of my talk, which I never do because it always messes me up, better to just have key words. So Friday afternoon finally arrived and I did my talk titled “Hollywood landscapes” to an international audience of experts, some of which where about to be told that they’re doing it all wrong. I had a huge amount of content to get through and only 20mins to do it, fortunately one of the speakers from my session had pulled out so there was a little space to move into, 30mins it turned out. I managed to get through it all and I got some really good feedback afterwards. So mission successful! The next day was quite surreal, it was based in the very iconic Bauhaus building in Dessau. I spent the entire day there, from 9am – 11pm listening to lectures on subjects that actually interested me. By this time my brain had more or less turned to jelly. Luckily the next day was a field trip to the [insert name of mountains here] where we went around several historic sites, unfortunately it was wet, very wet. This marked the end of the conference. Monday 4 June, decided it was time to take it easy, I had some laundry drying and a day to kill, so I headed to Leipzig, possibly one of the happiest places I’ve been, every one had big smiles. I was starting to wonder if I had something on my face. I was exhausted though, for some reason I keep waking up at about 5am. So that ended my time in Bernburg and brings me to where I a now. Heading to Dresden for a little look then up to Berlin to meet up with my cousin who’s fling in at 5pm. Then tomorrow my mother, brother and a Jan will join us. I’ll be there till Friday, so should be entertaining. Stay tuned. 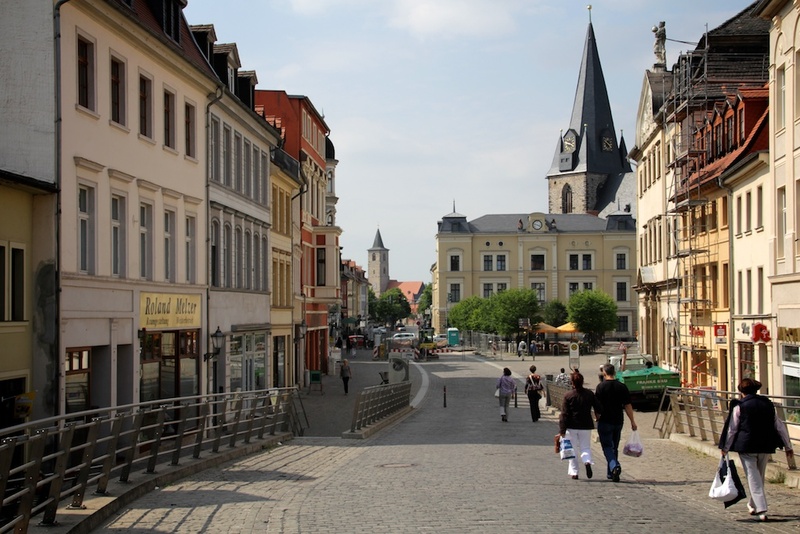 Bernburg, DLA, Germany, landscape architecture, Travel. Bookmark.